On January 30th the IOTA Foundation announced its partnership with Taipei City in order to help reach its smart city goals. In accordance with its smart city milestones, the capital of Taiwan partners up with the IOTA Foundation and BiiLabs to incorporate distributed ledger technology into smart city applications, starting with TangleID citizen cards. Now, on October 15, this partnership is bearing fruit, and BiiLabs is lauching the open source GDPR- Compliant Identity System. In the era of the Internet of Everything, BiiLabs (Blockchain Industry and Innovation Laboratories), a blockchain technology startup team dedicated to the use of decentralized ledger technology to drive business innovations, announced the official launch of the decentralized digital asset solution, TangleID, for corporate users. The TangleID system allows users to have “self-sovereign” verifiable digital identity based on the blockchain technology. It is the software implementation scheme designed for Digital ID and GDPR regulations. It has already adopted by Taipei City Digital Citizen Cards project. To access the system, you can go to the portal site at https://tangleid.github.io. In the meantime, the prospect of “Digital Identity (Digital ID)” urges Taipei City to develop digital Citizen Cards in order to integrate online to offline (O2O) services for identity verification. The Digital ID opens up new possibilities in the access to industry services and provides the flexibility in whether a service or the payment on the service chain of identity authentication. This initiative will speed up the establishment of platform for verification, service, payment as well as the well-established permission of API. In the future, the one-handed government will be transformed into co-developer mode in the combination of industry and authorities. What’s more, Digital ID is a critical step for Taipei City to connect with the edge-cutting urban services worldwide. Complying with the Taiwan Personal Information Protection Act and the GDPR related regulations, BiiLabs team will cooperate with Deloitte & Touche Risk Management Advisory Co. (Deloitte), to conduct a series of security and privacy assessments of blockchain applications. Deloitte believes that “Privacy By Design” can control privacy risks effectively. In addition, enterprises should consider the feasibility, applicability, compliance and security risks of their business models, as well as ensure necessary control measures are applied within systems and operation processes to achieve better risk management, while adopting blockchain technology. In the near future, the two parties will continue their collaboration in more business model validation and risk assessment of new use cases. 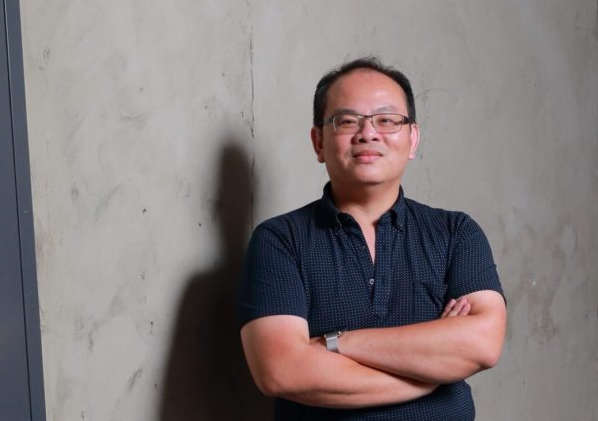 In the interview between Markus of publicIOTA and Yichen Chu, aka Lman, co-founder and CEO of BiiLabs further important points were highlighted. publicIOTA: How did BiiLabs come about and who are the partners? Lman: BiiLabs is dedicated in developing distributed ledger technologies to overcome the challenges in the Internet of Everything era, including smart city, energy management, and data economy. Our core technologies assist the digital transformation of various industries, and to solve critical issues such as trust, security, growth and efficiency for our clients. BiiLabs aims to be a leading technology provider in the Internet of Everything era. BiiLabs was founded in November 2017. We are partnering with IOTA Foundation, Distributed Ledger Technology Lab of National Cheng Kung University of R.O.C., South Star Xecelerator (SSX), Aaeon, NextDrive, TransIoT, and Deloitte. publicIOTA: What are other projects of BiiLabs besides the Digital Identity? Lman: BiiLabs provides the APIs to support clients for POE across various industries, including the environment monitoring such as water monitoring application by BiiLabs Sentinel Appliance (the world-first appliance adopted by Aaeon) which works with BiiLabs Alfred (API) in the container. publicIOTA: What’s next with the Digital Identity Project? Lman: BiiLabs is collaborating with Taipei City government, Peace Innovation Foundation and IOTA Foundation, and we are developing the open-source codes based on TangleID. We will move to the next step after the project meeting in late November this year. publicIOTA: How do you work with IOTA? 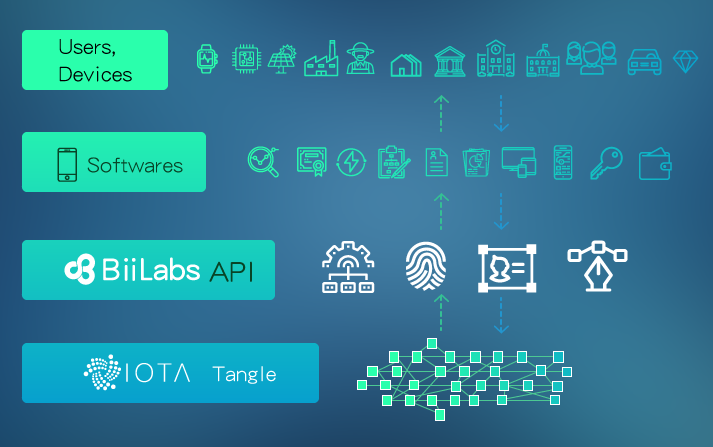 Lman: BiiLabs team is part of the major contributor to the IOTA ecosystem. We believes we can really make the world better by the global collaboration, contribution through opensource model. BiiLabs will continue to support IOTA for the projects in Asia. 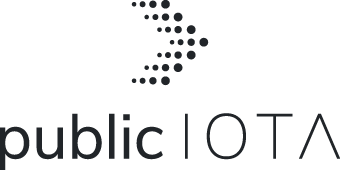 publicIOTA: If you think about IOTA Qubic Smart Contracts. What are the future advantages in the real use cases? Lman: The Qubic aims to the bigger target. I believe in the future it will help the IoET world more convenient. We are also looking forward to it. And for now BiiLabs also developed our own solutions to enable EVM on Tangle. We are aiming from now to the future. By helping various industries to adopt the DLT into the process or flow, in the devices, and keep records for their data and upgrade to a smart contract, will enable their business through an evolving process. It will more practical for the real future of IOTA + Qubic. publicIOTA: Thank you for the friendly and interesting interview. publicIOTA will continue to support this interesting project and closer communication between BiiLabs and publicIOTA is planned.